Before making your reservations compare our adventures and prices with other well known companies. You will find that we offer unsurpassed value without compromising the quality of our trips in any way. All-inclusive! 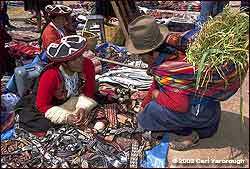 Private Peru tours include ground transportation; quality hotels; most meals and guided tours. See our FAQ and the detailed 7-DAY TOUR ITINERARY and 8-DAY TOUR ITINERARY for complete information. Our private escorted tour of Peru begins in Cusco, the archaeological capital of the Americas. In Cusco you will encounter massive walls, cobblestone streets and remnants of the Inca Empire and the Spanish colonial period. After a guided tour of Cusco and the surrounding archaeological sites, we visit the Sacred Valley of the Incas. The following day we will have an optional enchanting one day hike along the last portion of the ancient Inca Trail that leads you to Intipunku “Gate of the Sun”, the original main entrance of the legendary lost city of Machu Picchu. You have the option to follow the traditional route and take the train all the way to Machu Picchu. After two days exploring Machu Picchu — one of the world's most spectacular ruins — we take a train to Ollantaytambo and complete the entire circuit of the Sacred Valley on our way back to Cusco. Our adventure concludes with a guided city tour of Lima. 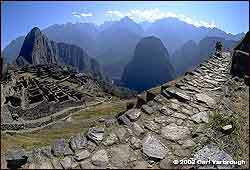 • Depart any date on a Private Wonders of Peru Tour. This is an active cultural tour, rated as easy touring. 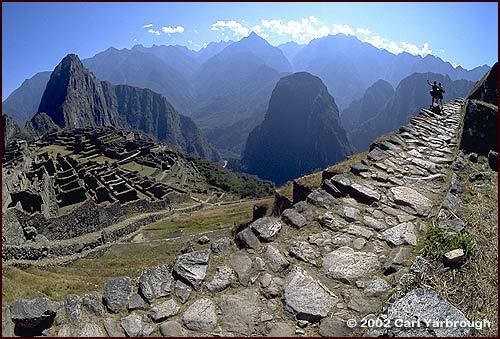 You should be able to walk unassisted on the tours in Machu Picchu and the archaeological sites in Cusco, sometimes up and down stairs. We reach elevations up to 12,350 feet in Chinchero and spend time in Cusco at 11,000 feet. The hike of the last part of the Inca Trail to the "Gate of the Sun" is optional; you can continue on the train all the way to Machu Picchu. Compare our adventures and prices with other well known companies and you will find that our all-inclusive prices are lower than other companies' "land cost" for comparable trips. Nevertheless, Andes Adventures never compromises the quality of the trips in any way.